It is not unusual that design departments in large automotive groups compete against each other for design supremacy. Ford Motor did it in the early 90s with a proposal for the Jaguar XJ-S replacement, which was pitched against proposals from Ghia and Jaguar. Thankfully, Jaguar won that contest. However, in Italy in 1980, a very unusual competition erupted between Alfa Romeo and FIAT. At the time, government-owned Alfa Romeo was virtually broke, but desperately needed a new compact sedan. Alfa Romeo’s chief engineer Fillipo Surace worked closely with Alfa Romeo Centro Stile on Project 156. The designs were submitted by Design Chief Ermano Cressoni, although Alberto Bertelli was the leading influence on the rather brutal, high tail designs. 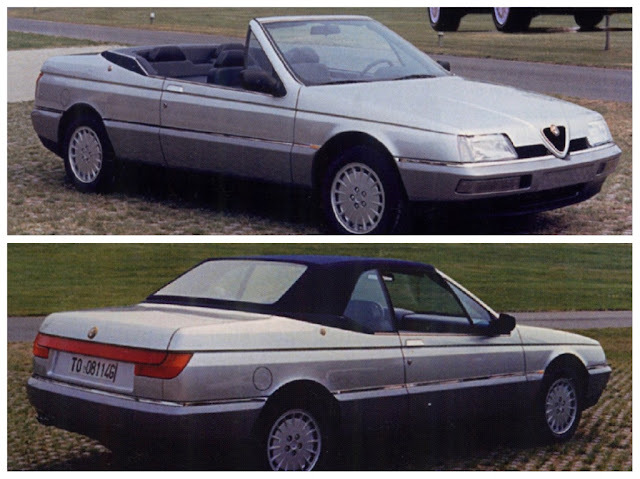 Surace’s concept was a modular platform, off which Alfa Romeo could produce a range of rear wheel drive models. In 1981, after sign-off had been received for a new 6-speed manual and tooling for the bodies, the Italian government got cold feet and withdrew all funding for the Tipo 156. 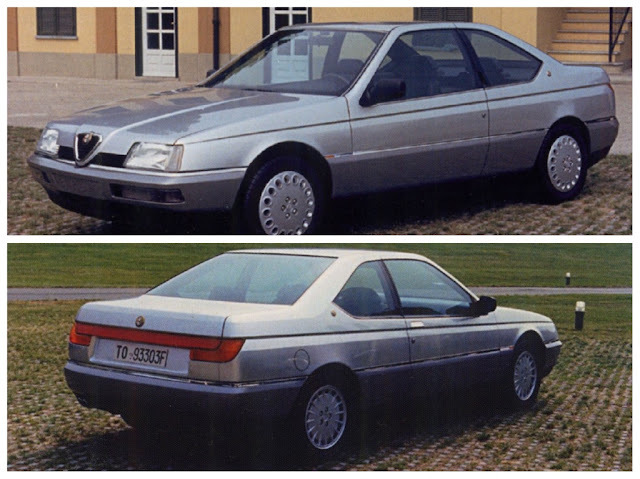 FIAT, whom some say is second only to the Vatican in importance in Italy, immediately proposed to the government that Alfa Romeo should work with the larger company, and integrate the Type Four concept (Saab 9000/Fiat Chroma/Lancia Thema) into a new sedan. Surace began work with Lancia’s Sergio Camuffo, to accommodate Lancia’s front engine/front wheel drive transaxle. By then Cressoni’s P156 prototype bodies had already been produced, so the engineers used the 156 mules as road-going prototypes. Alfa Romeo Centro Stile were forced to terminate work on P156, as FIAT had by then chosen Pininfarina’s Enrico Fumia’s design proposal for the new car, which would become the Alfa Romeo 164. Remember, at this stage the two were still separate, but closely-related companies. 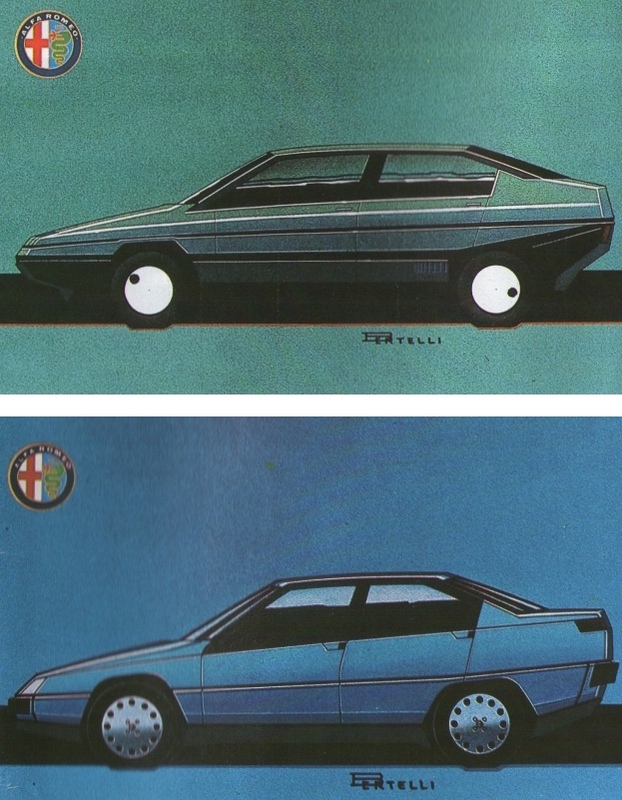 However, during Fumia’s (P164) work for Alfa Romeo, he also imagined two additional models, a coupe and convertible. Both went from design sketches right through to full-size models, and they were stunning. Sadly, they never made it into production. 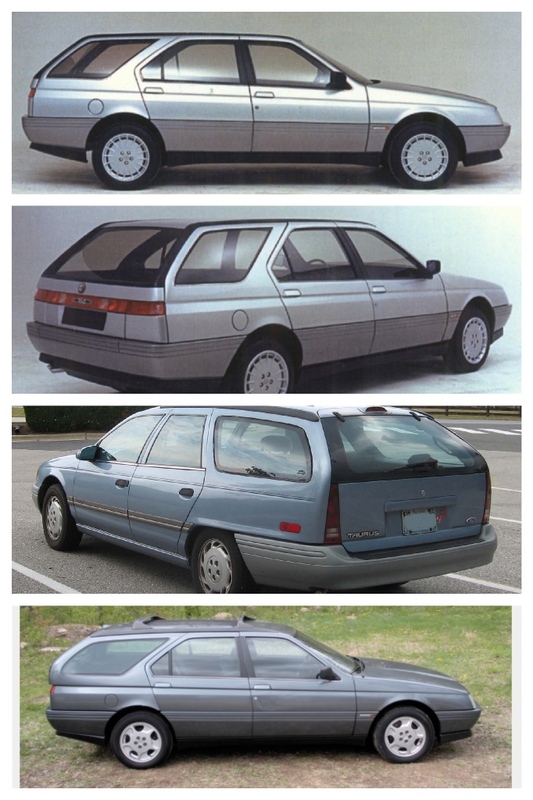 Neither did an Alfa Romeo 164 wagon, which was mooted at the same time. Pinifarina created a full-size model, designed by Fumia, which beautifully integrated the 164 themes. Another wagon concept was developed to full size, utilizing a tailgate from the then current Ford Taurus/Mercury Sable, but compared to Fumio’s proposal it was dead ugly. Alfa Romeo, owned by the Italian government between 1932 and 1986, decided to allow FIAT to acquire the company, to save further, continual drain on the public purse. 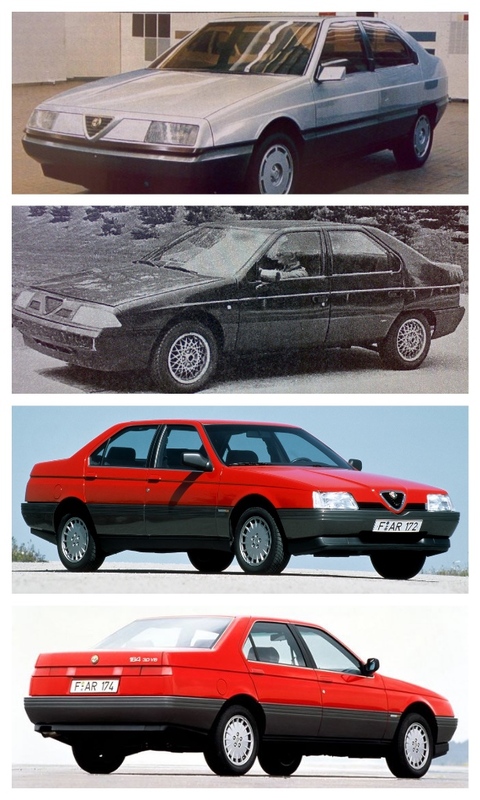 From that time, all new Alfa Romeo cars shared FIAT platforms and powertrains and became FWD across the board. That is, until the appearance of the 8C Competizione (2007) and the 4C (2013) which were RWD. The latest Alfa Romeo Giulia (Tipo 952) is the return to a rear wheel drive sedan, with outstanding chassis dynamics. What I would most like to see are the Alfa proposals Ford produced in the months before its attempt to buy the Italian firm was knocked back, largely at the behest of Fiat. Did they come from Ford of Europe or Dearborn?